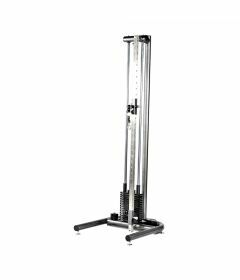 Pulley systems for physical therapy and rehab programs. 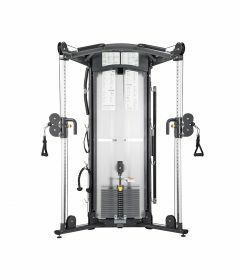 Functional trainers, mobile pulley systems, wall mounted pulleys. 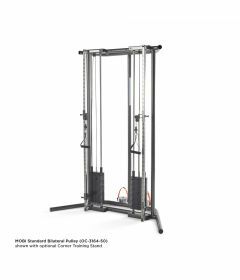 As a physiotherapy exercise equipment supplier we specialize in exercise equipment adapted for rehab strength and cardio exercise programs in rehab clinics, hospitals rehab gyms, seniors residences, all-inclusive gyms, and at home. 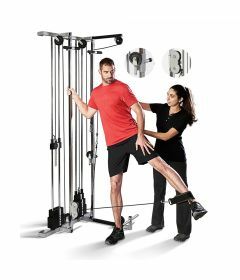 Our knowlegeable staff of kinesiologists and physiotherapists is specialised in assisting rehab centers, physiotherapy clinics and patients make the best investment for their rehab equipment and gym. 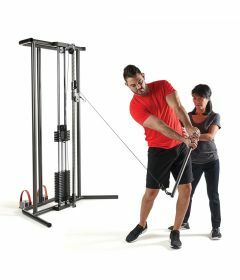 They can provide tips for choosing the right gym equipment for the right setting. 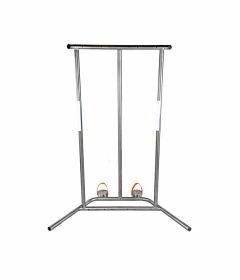 For small shoulder pulleys and home use exercisers, go here.